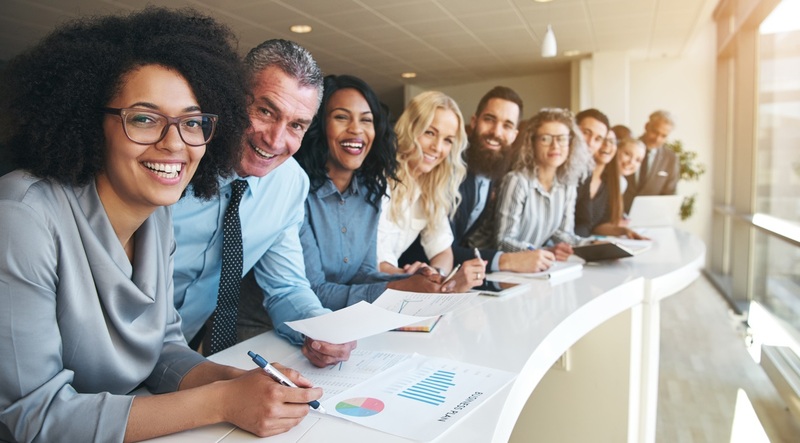 Workplace happiness might not be one of the most commonly measured metrics for business success, but it can play an important part in the overall performance, efficiency and long-term prosperity of an enterprise. People who feel happy in their jobs are much more likely to arrive in the morning wanting to work hard and achieve the best results for their employer. Apathy and lack of engagement, in contrast, can result in low productivity, poor customer service and simple mistakes. As simple as it might sound, sometimes a line manager or the director of the business just speaking to individual members of the workforce in person is enough to boost morale. One-on-one conversations provide the opportunity for employees to discuss issues that may have been playing on their mind or talk about elements of their job they find difficult. This can make a big contribution to how comfortable and satisfied someone feels in their role. Employers should offer as much information as possible about specific jobs within the business and what each role entails from the moment the position is advertised. One common reason for an employee to become disillusioned and disengaged is if their day-to-day work is very different to what they had initially expected. If you notice this becoming an issue in your workplace, consider if certain roles can be redefined or responsibilities can be shared to open up new professional experiences. No-one wants to feel that their career has ground to a halt and they are completing the same tasks day after day, with no prospects for professional development or growth. Engage with your workforce to learn more about people’s career aspirations and interests. Offering training opportunities and clear paths for promotion can ensure that employees feel they are progressing in their career, as well as strengthening the business with additional skills and qualifications. Pay rises and bonuses are often the first things that come to mind when employers think about staff benefits, but there are plenty of alternatives for firms that might not have the resources to offer financial perks. An increasing number of workers today are placing an emphasis on factors such as job flexibility and work-life balance, so offering benefits like occasional working from home and adjustable hours can make a big difference. It can be extremely damaging to staff morale and engagement if people feel their hard work is going unrecognised. Sometimes, the simplest gestures – such as a manager acknowledging someone in person for their hard work or offering thanks to employees who have stayed late to complete a big project – can have the biggest impact. Introducing basic measures and workplace policies such as these can maximise employee happiness and drive positive performance for the business.